VICK LAVENDER ft RJ GREEN, Sol Papa, Michele McCain, Charles Webster ft Diviniti, Silvia Zaragoza Ft. Yasmine Seydi and more. Scott Whichello has been a lover of soulful music from childhood. His Father was a Soul Dj in London, England in the 1970&apos;s and inspired him with the wonderful sounds of Earth Wind & Fire, Stevie Wonder & Chic to name but a few. In the early 1990&apos;s house music came into his life and soulful house became his musical preference. 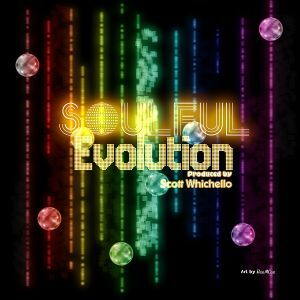 Scott created Soulful Evolution in November 2011 and it features weekly on YouTube, Soundcloud and of course Mixcloud! The show features the hottest promos & new releases in soulful house all in the mix! The show also features on many radio stations around the world!